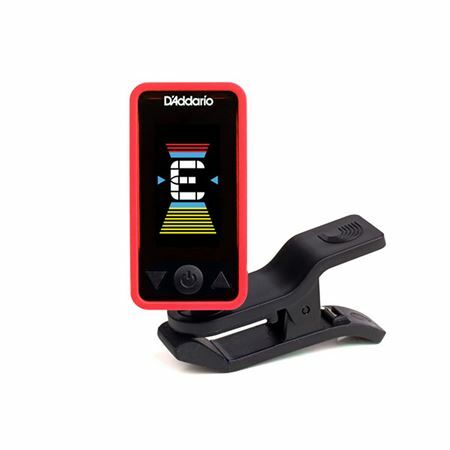 Shop D'Addario PW-CT-17 Eclipse Headstock Tuner from AMS and enjoy Fast & Free Shipping. Unparalleled performance at an affordable price. Introducing the D’Addario Eclipse chromatic clip-on tuner which offers fast, accurate chromatic tuning on and off the stage. The tuner features a full color vertical display, auto power-off, and pitch calibration in a discreet, compact design. The multi-swivel action allows for the perfect viewing angle and can be mounted in front of or behind the headstock on right- and left-handed instruments. CR2032 battery included. This tuner sux. Don't waste your money. I could not see the readings on it at all. Great tuner at a great price highly recommend!!! Great little tuner for the money. Bright display that swivels in almost any direction. Easy to use and priced low enough so you can buy a few to put in all your guitar cases. Great acoustic guitar clip on tuner at a great price! Perfectly accurate! Works fine and was inexpensive.